After the triumph of The Creation, the librettist, Baron Gottfried van Swieten, was quick to propose another oratorio text to Haydn, again with a British source: an adaptation of James Thomson’s famous pastoral epic The Seasons, published in 1730. Jettisoning most of Thomson’s moralising, Van Swieten shifted the scene to Haydn’s own Burgenland, complete with wine harvest, inserted a couple of popular German poems to jolly up Winter (the spinning song, and Hanne’s quasi-folk tale), and in a spirit of Enlightenment optimism omitted tragic details such as the wanderer frozen to death in a snowstorm. The self-opinionated Baron was no poet. Time and again he dulled and flattened Thomson’s imagery, compounding the problem with the English ‘back-translation’ of his German text (The Seasons was actually published with words in German, English and French). But, working closely with the composer, he was often shrewd in his choice of which details to include and which to omit. In many ways the libretto was right up Haydn’s street: akin to The Creation in its celebration of an idyllic, divinely ordered world, yet embracing an even wider range, from the stag hunt and the wine harvest to paeans of praise to the Almighty. Haydn, though, worked on The Seasons with increasing reluctance, protesting that he was too weary and that the libretto was banal by comparison with The Creation. Still smarting at attacks on The Creation’s animal imitations, he derided the frogs and crickets in Summer, so delightful to us, as ‘Frenchified trash’; and he summed up the relative merits of the two oratorios by remarking that while the solo voices in The Creation were those of angels, in The Seasons ‘only [the peasant] Simon speaks’. Yet for all Haydn’s strictures, Van Swieten’s text gave him plenty to fire his imagination; and he responded with music of unquenchable vitality and freshness of observation. 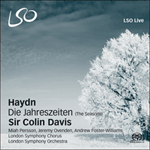 First heard in the Palais Schwarzenberg in Vienna on 24 April 1801 ‘with the same unanimous approval as The Creation’ (Haydn’s words), The Seasons is a joyous evocation of the world in which the composer, a master-wheelwright’s son, had grown up. Essentially a series of lovingly painted frescoes, this least solemn of oratorios fuses pastoral innocence with the most sophisticated harmonic and orchestral language. Indeed, like The Magic Flute, another great celebration of Enlightenment values, The Seasons effortlessly incorporates a wide array of styles, from Viennese Singspiel to exhilarating fugal choruses that reflect Haydn’s encounter with Handel’s music in London. Each of the four ‘cantatas’ that make up The Seasons opens with an orchestral tone poem. The splendid G minor introduction ‘depicts the passage from winter to spring’, the former evoked in blustery, densely contrapuntal music, the latter in airy exchanges between violins and wind. In the recapitulation Haydn omits this ‘spring’ music and sweeps directly into the recitative for the peasants: Simon (bass), Lukas (tenor) and Simon’s daughter Hanne (soprano). Tonal resolution only comes with the lilting G major chorus, ‘Komm, holder Lenz’. In the jaunty ploughman’s song – one of the oratorio’s instant hits – Haydn resisted van Swieten’s attempts to get him to include a tune from a popular German opera and instead had Simon whistle the famous melody from his Surprise Symphony. Two solo-choral complexes make up the second half of Spring. The Prayer ‘Sei nun gnädig’ begins with serene, hymnic melody and ends with a fervent fugue that virtually quotes the ‘Quam olim Abrahae’ from Mozart’s Requiem – the first of several Mozartian reminiscences in The Seasons. The ‘popular’ and the ‘sublime’ are directly juxtaposed in the last number of Spring. This opens in A major with a ‘Song of Joy’ in quasi-folk vein, enlivened by charming illustrative touches. After working its way to D major, the music seems to peter out. Then, following a pause, Haydn introduces a series of massive fanfares in the remote key of B flat. After a lyrical solo trio, dramatically interrupted by more choral cries, Spring closes with a majestic fugue that, as so often in Haydn’s fugal choruses, becomes more symphonic and less strictly contrapuntal as it proceeds. Summer falls into two large, virtually continuous sections. The first moves from the atmospheric orchestral portrayal of ‘the meek-eyed morn’, via the oboe-as-cockerel and Simon’s bucolic aria with horn (a foretaste here of Beethoven’s Pastoral Symphony), to an exhilarating chorus in praise of the sun that culminates in a riot of fugal laughter. In the second part of Summer, drought and torpor, graphically evoked in Lukas’s recitative and cavatina, find relief in Hanne’s enchanting woodland scene: first in a pictorial recitative, then in a two-section aria, beginning as a languorous duet for soprano and oboe and ending with ecstatic coloratura flourishes. The scene darkens in a baleful recitative, punctured by distant thunder. Then, with forked lightning on the flute, the tempest erupts. In this, the first great Romantic picture-in-sound of the warring elements, Haydn creates a musical counterpart to the cataclysmic storms that Turner would depict a quarter of a century later. After a fugue on a drooping chromatic subject, the tempest recedes amid desultory lightning flashes; and normal rustic life resumes in the final trio and chorus, opening with Haydn’s ‘Frenchified trash’ (bellowing cattle, croaking frogs and the like) and closing with a graceful chorus of villagers that transmutes the storm’s tremolandos into drowsy murmurs. 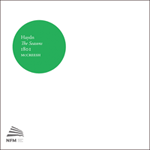 Following the minuet-like introduction to Autumn, the trio and chorus in praise of industry is Haydn’s supreme triumph over a prosaic text: a noble, powerfully organised movement initiated by Simon alone, with chuckling woodwind commentaries, and culminating in a choral fugue that climaxes in a stunning harmonic ‘purple patch’. The tension then relaxes with the love duet that contains a soulful central Adagio before ending, like the Adam and Eve duet in The Creation, as a sprightly contredanse. The hunting scenes that follow are portrayed with relish by Haydn, an enthusiastic huntsman himself in earlier days. After the bird shoot, recounted in a Baroque-style bass aria with burbling bassoon obbligato, and the hare-coursing, comes the most spectacular of all hunting choruses, based on traditional hunting calls and tracing an audacious tonal journey from D major to E flat. Yet Haydn manages to cap even this thrilling genre scene in the increasingly riotous wine harvest, memorably described by the German critic Karl Schumann as ‘a feast of Bacchus in the Burgenland, painted by a musical Breughel’. At the furthest extreme from this C major revelry is the depiction of ‘thick fogs’ that opens Winter, a piece of near-impressionistic tone-painting to set alongside ‘Chaos’ from The Creation. The season’s grim aspects are further explored in Jane’s Cavatina, and the opening of the tenor aria, with its vivid portrayal of the lost wanderer’s mounting anxiety. But, unlike Thomson’s doomed traveller, van Swieten’s wanderer finds refuge in a tavern in which the villagers cheerfully pursue their winter tasks: a cue for a picturesque spinning scene, and Hanne’s sly tale of seduction outwitted. In the valedictory bass aria ‘Erblicke hier, betörter Mensch’, where the declining year becomes an allegory for old age, Haydn poignantly recalls the slow movement of Mozart’s Symphony No 40. At the end the music dissolves in insubstantial woodwind chords. ‘Nur Tugend bleibt’ – only virtue remains – asserts Simon in his new role of philosopher, a notion taken up and expanded in the final trio and double chorus. There are distinct Masonic overtones here, with antiphonal passages for the two choirs that recall the dialogue between Tamino and the Old Priest in The Magic Flute. Ignoring van Swieten’s request for an eight-part choral fugue, Haydn celebrates the certainty of salvation in a magnificently rugged four-part fugue that builds to a resplendent homophonic climax, replete with proto-Wagnerian brass fanfares, at the vision of ‘the holy hill of heavenly bliss’. Après le triomphe de La Création, le librettiste, le baron Gottfried van Swieten, ne tarda guère à proposer un autre livret d’oratorio à Haydn, en s’appuyant à nouveau sur une source britannique: une adaptation de la fameuse pastorale épique de James Thomson Les Saisons, publiée en 1730. Rejetant l’essentiel des propos moralisateurs de Thomson, van Swieten transporta la scène dans la région de Haydn, le Burgenland, compléta l’action par des vendanges, inséra des poèmes populaires afin d’égayer L’Hiver (la chanson au rouet, et le conte dans la veine populaire de Hanne) et, dans l’esprit optimiste des Lumières, omit quelques détails tragiques comme le marcheur mort de froid dans une tempête de neige. S’il avait une haute estime de lui-même, le baron n’était pas un poète. A plusieurs reprises, il émoussa et affadit l’imagerie de Thomson, aggravant le problème dans la re-traduction en anglais de son texte allemand (Les Saisons fut en fait publié avec un livret trilingue en allemand, anglais et français). Mais, travaillant en collaboration étroite avec le compositeur, il se montra souvent avisé dans son choix des détails à inclure ou à laisser de côté. A bien des égards, le livret est tout à fait dans la lignée qu’aimait Haydn: il ressemble à celui de La Création dans sa célébration d’un monde soumis à un ordre divin idyllique, bien qu’il embrasse un éventail plus large, de la chasse au cerf et de la vendange aux hymnes de louanges au Tout-Puissant. Haydn, toutefois, traînait de plus en plus les pieds pour composer Les Saisons, se plaignant d’une trop grande fatigue et d’un livret banal en regard de celui de La Création. Souffrant encore d’attaques contre les imitations d’animaux que renferme La Création, il traita les grenouilles et les grillons de L’Eté, qui nous semblent si charmants, de «cochonneries franchouillardes»; et il résuma les mérites comparés des deux oratorios en remarquant que, tandis que les voix solistes de La Création incarnaient des anges, dans Les Saisons «seul [le paysan] Simon s’exprim[ait]». Toutefois, en dépit de toutes les critiques proférées par Haydn, le texte de van Swieten lui fournit de quoi embraser son imagination; et il y répondit par une musique d’une vitalité et d’une fraîcheur d’observation inépuisables. Présenté au public au palais Schwarzenberg, à Vienne, le 24 avril 1801, «avec le même succès unanime que La Création» (selon Haydn lui-même), Les Saisons évoque joyeusement le monde dans lequel le compositeur, fils d’un maître charron, avait grandi. Consistant pour l’essentiel en une succession de fresques peintes amoureusement, cet oratorio tout sauf solennel combine l’innocence pastorale au langage harmonique et orchestral le plus sophistiqué. A l’instar de La Flûte enchantée, autre grande célébration des valeurs des Lumières, Les Saisons mêle sans effort tout un panel de styles, du Singspiel viennois à des chœurs fugués exaltants qui témoignent de la découverte par Haydn de la musique de Haendel à Londres. Chacune des quatre «cantates» qui constituent Les Saisons s’ouvre avec un poème symphonique. La magnifique introduction en sol mineur «dépeint le passage de l’hiver au printemps», le premier évoqué par une musique au contrepoint dense et tourmenté, le second par des échanges insouciants entre violons et vents. Dans la réexposition, Haydn omet cette «musique de printemps» et glisse directement au récitatif des paysans: Simon (basse), Lukas (ténor) et la fille de Simon, Hanne (soprano). La résolution tonale n’a lieu qu’avec le chœur mélodieux en sol majeur «Komm, holder Lenz». Dans la chanson guillerette du laboureur – l’un des success immédiats de l’oratorio –, Haydn tint bon face à van Swieten qui voulait lui faire inclure un air extrait d’un opéra allemand en vogue: il préféra faire siffler à Simon le thème fameux de sa Symphonie «La Surprise». Deux ensembles avec chœur composent la seconde partie du Printemps. La prière «Sei nun gnädig» commence par une mélodie sereine, dans l’esprit d’une hymne, et se termine par une fugue fervente qui cite presque littéralement le «Quam olim Abrahae» du Requiem de Mozart – première des nombreuses réminiscences mozartiennes dans Les Saisons. Le «populaire» et le «sublime» sont directement juxtaposés dans le dernier numéro du Printemps. Il s’ouvre en la majeur avec un «Chant de joie» dans la veine populaire, vivifié par de charmantes touches descriptives. Après avoir atteint ré majeur, la musique semble se tarir. Puis, après une pause, Haydn introduit une série de fanfares massives dans la tonalité éloignée de si bémol. Après un trio lyrique des solistes, interrompu dramatiquement par les éclats multipliés du chœur, Le Printemps se referme avec une fugue majestueuse qui, comme souvent dans les chœurs fugués de Haydn, devient plus symphonique et moins strictement contrapuntique à mesure qu’elle se déploie. L’Eté se découpe en deux vastes sections pour ainsi dire continues. La première évolue du portrait évocateur du «matin aux yeux doux» à un chœur enivrant à la gloire du soleil qui culmine sur une profusion de rires fugués, via un air de hautbois en guise de chant du coq et une aria avec cor bucolique de Simon (préfigurant la Symphonie «Pastorale» de Beethoven). Dans le second volet de L’Eté, sécheresse et torpeur, évoqués d’une manière réaliste dans le récitatif et cavatine de Lukas, trouvent un soulagement dans la scène enchanteresse de Hanne au bois: dans un récitatif pittoresque tout d’abord, puis dans une aria bipartite qui débute comme un duo langoureux pour soprano et hautbois et s’achève avec une exubérance de vocalises extatiques. Le climat s’assombrit dans un récitatif menaçant, ponctué de coups de tonnerre lointains. Puis l’orage éclate, avec des éclairs zébrés à la flûte. Dans ce morceau, première grande peinture romantique des éléments déchaînés, Haydn crée l’équivalent musical des tempêtes cataclysmiques que Turner peindrait un quart de siècle plus tard. Après une fugue sur un sujet chromatique aspiré vers le bas, l’orage s’éloigne au milieu d’éclairs sporadiques; et la vie paysanne reprend son cours normal dans le trio avec chœur final, qui s’ouvre avec les «cochonneries franchouillardes» décrites par Haydn (mugissements de bovins, coassements de grenouilles etc.) et se termine sur un gracieux chœur de villageois qui métamorphose les tremblements de l’orage en murmures assoupis. Après l’introduction de L’Automne, sorte de menuet, un trio avec chœur louant les vertus du travail marque le triomphe suprême de Haydn sur un texte prosaïque: un mouvement noble, organisé avec maestria, qui commence avec Simon seul et des commentaires de bois gloussants, et s’épanouit en une fugue chorale qui culmine sur un étonnant «état de grâce» harmonique. La tension retombe ensuite, avec un duo d’amour qui s’infléchit le temps d’un mélancolique Adagio central avant de s’achever, comme le duo entre Adam et Eve dans La Création, sur une contredanse vigoureuse. Les scènes de chasse qui font suite sont illustrées d’une manière jubilatoire par Haydn, qui, quelques années plus tôt, pratiquait la chasse avec enthousiasme. Après le tir aux oiseaux, narré par une aria de basse dans le style baroque avec un gargouillis de basson obligé, et la poursuite du lièvre, s’élève le plus spectaculaire des chœurs de chasse, qui repose sur des sonneries de chasse traditionnelles et adopte un parcours tonal audacieux, de ré majeur à mi bémol. Haydn réussit à couronner cette scène grisante par des vendanges encore plus exubérantes, que le critique allemand Karl Schumann décrivit mémorablement comme «une fête de Bacchus dans le Burgenland, peint par un Breughel de la musique». Au sommet de ces réjouissances en ut majeur font irruption les «brouillards épais» qui ouvrent L’Hiver, peinture sonore presque impressionniste à placer au même niveau que le «Chaos» de La Création. Haydn continue d’explorer le caractère sinistre de cette saison dans la cavatine de Hanne, et au début de l’aria de ténor, qui campe avec vivacité l’angoisse croissante du marcheur égaré. Mais, alors que le voyageur de Thomson trouve la mort, celui de van Swieten se réfugie dans une taverne où les villageois vaquent gaiement à leurs tâches hivernales: c’est l’occasion d’une pittoresque scène au rouet, et du conte où Hanne narre avec malice l’histoire d’un séducteur déjoué. Dans l’air d’adieu de la basse «Erblicke hier, betörter Mensch», où le déclin de l’année se transforme en allégorie de la vieillesse, Haydn a l’idée poignante de citer le mouvement lent de la Quarantième Symphonie de Mozart. La musique finit par s’évanouir en accords de bois éthérés. «Nur Tugend bleibt» – seule la vertu demeure – affirme Simon dans son nouveau rôle de philosophe, et cette notion est reprise et développée dans le trio final avec double chœur. Il y a ici de clairs accents maçonniques, avec des passages antiphoniques à deux chœurs qui rappellent le dialogue entre Tamino et le Vieux Prêtre dans La Flûte enchantée. Ignorant la requête de van Swieten, qui souhaitait une fugue chorale à huit voix, Haydn célèbre la certitude de la rédemption dans une fugue à quatre voix magnifiquement agencée, qui culmine sur un sommet homophonique resplendissant, comblé avec des fanfares de cuivres préfigurant Wagner, à la vue de la «colline sacrée de félicité céleste». Nach dem triumphalen Erfolg der Schöpfung schaltete der Librettist Baron Gottfried van Swieten schnell und schlug Haydn einen weiteren Oratoriumstext vor, wieder aus einer britischen Quelle: eine Adaption des berühmten, 1730 veröffentlichten Epos über das Landleben The Seasons von James Thomson. Van Swieten übersprang einen Großteil von Thomsons moralisierendem Text, verlegte den Handlungsort nach Burgenland (wo Haydn lange wirkte), fügte eine Weinernte hinzu, schob zur Aufheiterung des Winters ein Paar beliebte deutsche Gedichte ein (das Lied der spinnenden Weiber und Mädchen sowie Hannes volksliedartige Erzählung) und ließ im Geiste aufklärerischen Optimismus tragische Details wie z. B. den in einem Schneesturm erfrorenen Wanderer aus. Der von sich selbst eingenommene Baron war kein Dichter. Immer wieder entschärfte und verharmloste er Thomsons Bildsprache und erschwerte damit das Problem bei der englischen Rückübersetzung seines deutschen Texts (Die Jahreszeiten wurden tatsächlich mit dem Text auf Deutsch, Englisch und Französisch veröffentlicht). In der engen Zusammenarbeit mit dem Komponisten war van Swieten aber bei seinen Entscheidungen schlau, welche Details er aufnehmen und welche er auslassen sollte. In vielerlei Hinsicht war das Libretto genau nach Haydns Geschmack: Es ist der Schöpfung mit ihrer Würdigung einer idyllischen, göttlich geordneten Welt ähnlich, spannt aber von der Hirschjagd und der Weinernte bis zum Lobgesang an den Allmächtigen einen noch breiteren Bogen. Haydn arbeitete jedoch an den Jahreszeiten mit zunehmendem Widerwillen. Er klagte über Erschöpfung und das im Vergleich mit der Schöpfung banale Libretto. Nach den Angriffen auf die uns heute gerade so reizend erscheinenden Tiernachahmungen in der Schöpfung leckte Haydn noch immer seine Wunden und bezeichnete deshalb die Frösche und Grillen im Sommer abwertend als „französischen Quark“ [alle Zitate sind Übersetzungen aus dem Englisch, d. Ü.]. Die Errungenschaften der zwei Oratorien vergleichend kam er zu dem Schluss, die Solisten in der Schöpfung mögen Stimmen der Engel sein, aber in den Jahreszeiten „spräche nur [der Bauer] Simon“. Trotz Haydns scharfer Kritik gab ihm van Swietens Text reichlich Stoff für seine Fantasie, und er reagierte darauf mit Musik von unermüdlicher Vitalität und Beobachtungsgabe. Die Jahreszeiten wurden erstmals am 24. April 1801 im Wiener Palais Schwarzenberg „mit dem gleichen einhelligen Zuspruch wie die Schöpfung“ (Haydns Worte) aufgeführt und beschwört heiter jene Welt, in der der Komponist, Sohn eines Meisterwagners, aufgewachsen war. Dieses am wenigsten feierliche Oratorium ist im Wesentlichen eine Folge wundervoll gezeichneter Freskos und verbindet ländliche Unschuld mit äußerst kultivierter harmonischer und orchestraler Sprache. Tatsächlich fügen die Jahreszeiten, wie schon zuvor die Zauberflöte (auch sie eine große Huldigung aufklärerischer Werte), mühelos ein breite Palette an Stilen zusammen, angefangen beim Wiener Singspiel bis zu aufregenden Chorfugen (die Haydns Bekanntschaft mit Händels Musik in London widerspiegeln). Jede der vier Kantaten, aus denen sich Die Jahreszeiten zusammensetzen, beginnt mit einer tonmalerischen Einleitung für Orchester. Die hervorragende Einleitung in g-Moll „stellt den Übergang von Winter zu Frühling vor“, wobei der Winter durch stürmische Musik mit dichtem Kontrapunkt, der Frühling wiederum durch einen luftigen Austausch zwischen Violinen und Bläsern dargestellt wird. In der Reprise lässt Haydn diese „Frühlingsmusik“ aus und schwingt direkt zum Rezitativ für die Bauern: Simon (Bass), Lukas (Tenor) und Simons Tochter Hanne (Sopran). Die harmonische Auflösung kommt mit dem beschwingten Chor in G-Dur „Komm, holder Lenz“. In dem flotten Lied des Ackermanns – einer der unmittelbaren Hits des Oratoriums – hielt Haydn van Swietens Versuchen stand, ihn zur Aufnahme einer Melodie aus einer beliebten deutschen Oper zu überreden. Stattdessen ließ Haydn Simon die berühmte Melodie aus seiner Sinfonie mit dem Paukenschlag pfeifen. Zwei Solochoraleinheiten bilden die zweite Hälfte des Frühlings. Das Gebet „Sei nun gnädig“ beginnt mit einer beherrschten, hymnischen Melodie und endet mit einer inbrünstigen Fuge, die das „Quam olim Abrahae“ aus Mozarts Requiem nahezu zitiert – der erste von mehreren Hinweisen auf Mozart in den Jahreszeiten. Das „Volksliedhafte“ und das „Erhabene“ stehen in der letzten Nummer des Frühlings unmittelbar nebeneinander. Diese Nummer beginnt in A-Dur mit einem „Freudenlied“ in volksliedartiger Fasson, belebt durch charmante illustrative Ideen. Nachdem sich die Musik zu D-Dur durchgearbeitet hat, scheint sie sich aufzulösen. Nach einer Pause lässt Haydn dann eine Reihe massiver Fanfaren in der weit verwandten Tonart B-Dur erklingen. Daraufhin folgt ein lyrisches Solotrio, das von weiteren Chorrufen dramatisch unterbrochen wird. Der Frühling endet mit einer majestätischen Fuge, die, wie so oft in Haydns Chorfugen, in ihrem Verlauf einen zunehmend sinfonischen und kontrapunktisch weniger strengen Charakter annimmt. Der Sommer unterteilt sich in zwei große, fast kontinuierliche Abschnitte. Der erste bewegt sich von einem atmosphärischen Orchesterporträt des „sanften Morgenlichts“ über die Oboe-als- Hahn und Simons bukolische Arie mit Horn (ein Vorgeschmack auf Beethovens Pastoralsinfonie) bis zu einem mitreißenden, der Sonne dankenden Chor, der in einem Ausbruch fugischen Gelächters kulminiert. Im zweiten Teil des Sommers finden Dürre und Trägheit bildhaften Ausdruck in Lukas’ Rezitativ und Kavatine. Dazu liefert Hannes bezaubernde Waldszene einen entspannenden Gegensatz: zuerst in einem anschaulichen Rezitativ, dann in einer zweiteiligen Arie, die als sehnsuchtsvolles Duett für Sopran und Oboe beginnt und mit ekstatischen Koloraturen schließt. Die Szene verdunkelt sich in einem unheilvollen und von fernem Donner unterbrochenen Rezitativ. Dann bricht der Sturm mit Blitzen auf der Flöte los. In diesem ersten großen romantischen Tongemälde kriegerischer Elemente schuf Haydn eine musikalische Entsprechung zu den kataklystischen Stürmen, die Turner ein Vierteljahrhundert später malen sollte. Nach einer Fuge über ein schwermütiges chromatisches Thema verzieht sich der Sturm unter vereinzelt aufleuchtenden Blitzen, und im letzten Trio und Chor setzt das normales Landleben wieder fort, das mit Haydns „französischem Quark“ (muhende Kühe, quakende Frösche und Ähnliches) anhebt und mit einem anmutigen, die Tremolos des Sturmes in schläfriges Gemurmel verwandelnden Chor der Dorfbewohner endet. Auf die einem Menuett ähnliche Einleitung des Herbstes folgen ein Trio und ein den Fleiß preisender Chor. Sie zeigen, wie Haydn über den prosaischen Text siegte: ein nobler, kraftvoll organisierter Satz, der von Simon allein und nur in Begleitung kichernder Holzbläserkommentaren eingeleitet wird und in eine Chorfuge mündet, die in einer erstaunlichen harmonischen Extravaganz gipfelt. Die Spannung lässt in dem Liebesduett nach, das ein gefühlvolles Adagio umschließt und wie das Duett von Adam und Eva in der Schöpfung als munterer Kontretanz zum Abschluss kommt. Mit Vergnügen werden die darauf folgenden Jagdszenen von Haydn porträtiert, der in seinen jungen Jahren selber ein begeisterter Jäger war. Nach dem Vogelschießen, das mithilfe einer barockartigen Bassarie mit gurgelndem obligatem Fagott dargestellt wird, und der Hasenjagd mit Hunden kommt der beeindruckendste Jägerchor. Er beruht auf traditionellen Jagdrufen und verfolgt einen waghalsigen harmonischen Weg von D-Dur nach Es-Dur. Doch Haydn gelingt es, mit der zunehmend ausschweifenden Weinernte selbst dieses attraktive Genrebild zu überbieten. Der deutsche Rezensent Karl Schumann beschrieb diese Weinernte einmal unvergesslich als „ein Bacchusfest im Burgenland, gemalt von einem Breughel der Musik“. Im völligen Gegensatz zu diesen lärmenden Festlichkeiten in C-Dur erweist sich die Darstellung des „dicken Nebels“, mit dem der Winter beginnt. Dieser Nebel ist fast eine impressionistische Tonmalerei und steht dem „Chaos“ in der Schöpfung nahe. Die düsteren Seiten der Jahreszeit werden in Hannes Kavatine und zu Beginn der Tenorarie mit ihrer lebhaften Abbildung der wachsenden Angst eines verirrten Wanderers weiter erkundet. Aber im Gegensatz zu Thomsons zum Scheitern verurteilten Wanderer findet van Swietens Wanderer Zuflucht in einer Schenke, in der die Dorfbewohner freudig ihrer Winterarbeit nachgehen, Anlass für eine pittoreske Szene mit spinnenden Weibern und Mädchen und für Hannes verschmitzte Geschichte über listig abgewehrte Verführung. In der Abschied nehmenden Bassarie „Erblicke hier, betörter Mensch“, in der das zu Ende gehende Jahr als Allegorie für das Alter dient, erinnert Haydn wehmütig an den langsamen Satz aus Mozarts Sinfonie Nr. 40. Am Ende löst sich die Musik in belanglose Holzbläserakkorde auf. „Nur Tugend bleibt“, behauptet Simon in seiner neuen Rolle als Philosoph, ein Gedanke, der in dem abschließenden Trio und Doppelchor aufgenommen und erweitert wird. Hier schwingen deutliche freimaurerische Ideen mit, und die antiphonalen Passagen für beide Chöre rufen den Dialog zwischen Tamino und Sarastro in der Zauberflöte in Erinnerung. Haydn ignorierte van Swietens Wunsch nach einer achtstimmigen Chorfuge. Stattdessen würdigte er die Zuversicht auf die Erlösung mit einer herrlich robusten vierstimmigen Fuge, die sich bei der Vision von „deines Reiches Herrlichkeit“ zu einem prächtigen homophonen Höhepunkt einschließlich Blechbläserfanfaren zuspitzt, die schon an Wagner denken lassen. To farthest reaches of the north. With dreadful groans and howling. In slushy torrents swiftly roll. Z przeraźliwym jękiem i skowytem. Part 1 Der Frühling No 1b: Rezitativ: Seht, wie der strenge Winter flieht! Simon: Seht, wie der strenge Winter flieht! Zum fernen Pole zieht er hin. in trüben Strömen sich ergießt! Simon: See how stern Winter takes to flight! He is retreating to the distant Poles. runs down in muddy streams! are arriving from the south. Part 1 Der Frühling No 2: Chor des Landvolks: Komm, holder Lenz! Das Landvolk: Komm, holder Lenz! des Himmels Gabe, komm! Aus ihrem Todesschlaf erwecke die Natur! bald lebet alles wieder auf. und streut auf Blüt’ und Keim sein starres Gift. Alle: Komm, holder Lenz, des Himmels Gabe, komm! Komm! auf uns’re Fluren senke dich! O komm, holder Lenz, o komm und weile länger nicht! Country-folk: Come, fair spring, thou gift of Heaven, come! Awaken Nature from her deathlike sleep! soon shall everything return to life. and over bud and shoot spew numbing poison. All: Come, fair spring, thou gift of Heaven, come! Come! Upon our meadows set thy foot! Oh come, fair spring, oh come and delay no longer! Part 1 Der Frühling No 2: Chorus: Come, gentle spring! Thou gift of Heaven, come! From frozen wint’ry grave, bid drowsy Nature rise! And all will burst to life again. Descend upon our verdant plains. Make haste, do not delay! Wyrwij senną Naturę ze zmarzniętej zimowej mogiły! I wszystko znów zerwie się do życia. Ściąć podłym i okrutnym, śmiercionośnym szronem. Zstąp na nasze zielone równiny. Śpiesz się do nas, nie zwlekaj! o’er all the world below. and radiant is the firmament above. w znaku Barana rozjaśnia cały świat. die helle Sonn’ auf uns herab. streams brightly down upon us. and gladness to the air. und reift ihn bald zur gold’nen Frucht. will soon a golden harvest yield. Through furrows long he whistling strides, and tunes a cheerful lay. And prays the faithful soil will bear, in time, a golden crop. Brnie, pogwizdując, przez długie bruzdy, piosnkę wesołą nuci. I prosi wierną rolę, by z czasem przyniosła złociste plony. And thus to Heav’n he turns his humble pray’rs. Więc teraz zanosi korną modlitwę do Niebios. und fleht darum den Himmel an. and spared himself no pains or toil. and prays that heaven may grant it. Heav’n be gracious, Heav’n be bounteous. Open thou, and pour thy blessings o’er our fertile plains below. Let glist’ning dews revive our pastures! Let show’rs of rain refresh our meadows! And let the sun shine purest rays! For these abundant gifts we pray, and for thy bounty, thanks be giv’n. Niebiosa, bądźcie łaskawe, Niebiosa, bądźcie szczodre. Otwórzcie się i ześlijcie błogosławieństwa na nasze żyzne równiny. Niech lśniąca rosa ożywi nasze pastwiska! Niech strugi deszczu orzeźwią nasze łąki! Niech słońce opromieni ziemię najczystszym blaskiem! Modlimy się o obfite dary; za hojność Niebiosom niech będą dzięki. Lukas, dann Chor: Sei nun gnädig, milder Himmel! Lukas: Laß deinen Tau die Erde wässern. Simon: Laß Regenguß die Furchen tränken! laß deine Sonne scheinen hell! und deiner Güte Dank und Ruhm. Alle: Sei nun gnädig, milder Himmel! usw. Lucas: Send thy dew to refresh the earth. Simon: Send rain to water the furrows! let thy sun shine bright and clear! and praise thee for thy goodness. All: Be gracious now, oh gentle heaven, etc. And fills the sky with downy billows. The pride and joy of Nature fair. I wygania na niebo strzępiaste chmury. und füllt die Luft mit feuchten Dünsten an. den Schmuck und Reichtum der Natur. warms and fills the air with moisture. Hannah: O what charming sights delight us in the prospect fair. Come ye maidens, let us wander through the flow’ry vales. Lucas: O what charming sights delight us in the prospect fair. Come ye fellows, let us wander ’midst the meadows green. Hannah: See the lilies, see the roses, see the flowers all! Lucas: See the farmland, see the bowers, see the pastures all! Hannah: See the landscape, see the waters, see the glitt’ring sky! Lucas: All is stirring, all is quiv’ring, hark how lively Nature wakes! Chorus: All is stirring, all is quiv’ring, hark how lively Nature wakes! O what pleasures, O what wonders fill our gladden’d hearts. Sweetest yearnings, gentlest longings soon arise within our breasts. Simon: Ev’ry feeling, ev’ry passion is the mighty Creator’s will. Chorus: Let us honour, let us worship, let us laud Him, let us praise His name. Let our voices hymn His glory and resound on high! Hannah, Lucas & Simon: With Thine abundant blessings, mankind hast Thou reviv’d. With Thine o’erflowing goodness, mankind hast Thou refresh’d. Hanna: Jakże urocze widoki odsłaniają się przed naszymi oczami. Chodźcie, dziewczęta, pospacerujmy wśród ukwieconych dolin. Łukasz: Jakże urocze widoki odsłaniają się przed naszymi oczami. Chodźcie, chłopcy, pospacerujmy wśród zielonych łąk. Hanna: Popatrzcie na lilie, popatrzcie na róże, patrzcie na te wszystkie kwiaty! Łukasz: Popatrzcie na pola, popatrzcie na chaty, patrzcie na te wszystkie łąki! Hanna: Spójrzcie na ten krajobraz, popatrzcie na te wody, spójrzcie w to lśniące niebo! Łukasz: Wszystko się rusza, wszystko się kłębi, spójrzcie, jak ochoczo Natura wstaje do życia! Hanna: Patrzcie, jak dokazują maleńkie jagniątka. Łukasz: Patrzcie, jak śmigają ławice ryb. Hanna: Posłuchajcie, jak brzęczą roje pszczół. Łukasz: Patrzcie, jak ptaki trzepocą skrzydłami. Chór: Wszystko się rusza, wszystko się kłębi, spójrzcie, jak ochoczo Natura wstaje do życia! Jaka rozkosz, jakież zdumienie rozlewają się w naszych uradowanych sercach. Już wkrótce w naszych piersiach zagoszczą najsłodsze tęsknoty i najczulsze pragnienia. Szymon: Wszelkie namiętności i uczucia powstają z woli wszechmogącego Stwórcy. Chór: Czcijmy Go, uwielbiajmy, złóżmy Mu hołd, sławmy Jego imię. Niech nasz hymn na Jego chwałę wzniesie się aż pod niebo. Hanna, Łukasz i Szymon: Swoim hojnym błogosławieństwem odnowiłeś ludzkie plemię. Swą bezmierną dobrocią pokrzepiłeś ludzkie plemię. Hanne: O wie lieblich ist der Anblick der Gefilde jetzt! Kommt, ihr Mädchen, laßt uns wallen auf der bunten Flur. Lukas: O wie lieblich ist der Anblick der Gefilde jetzt! Kommt, ihr Bursche, laßt uns wallen zu dem grünen Hain! Hanne, Lukas: O wie lieblich ist der Anblick, usw. Mädchen und Bursche: O wie lieblich ist der Anblick, usw. Hanne: Seht die Lämmer, wie sie springen! Lukas: Seht die Fische, welch’ Gewimmel! Hanne: Seht die Bienen, wie sie schwärmen! Lukas: Seht die Vögel, welche Gefl atter! Mädchen und Bursche: Alles lebet, alles schwebet, alles reget sich. Mädchen: Welche Freude, welche Wonne schwellet unser Herz! Bursche: Süße Triebe, sanfte Reize heben uns’re Brust! Hanne, Lukas, Simon: Von deinem Segensmahle hast du gelabet uns. Chor: Ewiger, mächtiger, gütiger Gott! Hanne, Lukas, Simon: Ewiger, mächtiger, gütiger Gott! Jane: How fair the countryside looks now! Come, lasses, let us wander through the flowery meadows. Lucas: How fair the countryside looks now! Come, lads, let us wander to the leafy grove! Jane, Lucas: How fair the countryside, etc. look at all the flowers! look at all the fields! Lasses and Lads: How fair the countryside, etc. look at the bright sky! Jane: See how the lambs are leaping! Lucas: Look at the fish: what a milling around! Jane: See how the bees are swarming! Lucas: Look at the birds: what a fluttering! Lasses and Lads: All is alive, all is expectant, all bestirs itself. Lasses: How our hearts are swelling with happiness and delight! Lads: Tender feelings, soft sensations awake within our breasts. is the breath of the Creator. Jane, Lucas, Simon: From thy blessed table hast thou provided for us. hast thou quenched our thirst. Chorus: Eternal, almighty, bounteous God! Jane, Lucas, Simon: Eternal, almighty, bounteous God! beklemmt das bange Herz nicht mehr. strike fear into our hearts. to the new day’s work. Lucas: In darkness shrouded steals the dawn, in pearly mantle. With falt’ring footsteps, in retreat, the weary night retires. Their ghastly shriekings no longer pierce the trembling heart. To daily labour and worthy toil is summon’d. Łukasz: Świt skrada się w ciemnościach, otulony perłową opończą. Znużona noc wycofuje się chwiejnym krokiem. Ich upiorne wrzaski nie napełniają już serca trwogą. Bierze się za codzienny mozół i chwalebny znój. treibet er sie langsam fort. der Berge Gipfel im feurigem Gold. towards lush grazing in the verdant hills. for which he waits impatiently. the mountain-peaks in fiery gold. Through rolling hills and meadows green, slowly he drives them forth. To eastern skies he lifts his gaze, while steadfast on his crook he leans. He longs to see a glimm’ring ray, welcome sight of breaking day. Like wisps of smoke the clouds disappear. The hills are burnish’d with fiery gold. Prowadzi je nieśpiesznie przez falujące wzgórza i zielone łąki. Wypatrując świetlistego promienia upragnionej jutrzenki. Chmury rozwiewają się jak smugi dymu. Wzgórza skrzą się ognistym złotem. Part 2 Der Sommer No 03: Chorus with solos: Behold the sun! Hannah, Lucas, Simon & Chorus: Behold the Sun! He shines, resplendent and bright, enflam’d and in majesty! Hail, O glorious Sun! Thou source of light and life, all hail! O thou, the eye and soul of all, and image of our God! We offer thanks to thee. How shall we tell of such great rapture, which by thy bounty now appears? How shall we count the num’rous blessings, which by thy gentle grace are giv’n? The rapture, O how shall we tell? The blessings, O how shall we count? Hannah: All hail to thee for endless joy! Lucas: All hail to thee for boundless cheer! Simon: All hail to thee for matchless health! Though all thy pow’r and strength to thee by God is giv’n. Hannah, Lucas, Simon & Chorus: Hail, O glorious Sun! Thou source of light and life, all hail! Rejoice, uplift your voices, sing praise(s) to Nature fair! Hanna, Łukasz, Szymon i Chór: Spójrzcie na Słońce! Świeci jasnym, wspaniałym blaskiem, bucha majestatycznym płomieniem! Bądź pochwalone, cudowne Słońce! Źródło światła i życia, bądź pochwalone! Źrenico i duszo wszechrzeczy, obrazie naszego Pana! Składamy ci dzięki. Jak wysłowić niezmierzony zachwyt na widok twych darów? Jak zliczyć błogosławieństwa, które zawdzięczamy twej życzliwej łasce? Jak ten zachwyt wysłowić? Jak zliczyć te błogosławieństwa? Hanna: Bądź pochwalone za radość bez końca! Łukasz: Bądź pochwalone za szczęście bez granic! Szymon: Bądź pochwalone za niezrównane zdrowie! Choć całą swą moc i siłę zawdzięczasz Bogu. cudowne Słońce! Źródło światła i życia, bądź pochwalone! Radujcie się, wznieście głosy ku niebu, śpiewajcie ku chwale Natury! Chor: Sie scheint in herrlicher Pracht, in flammen der Majestät! des Lichts und Lebens Quelle, Heil! die deine Huld in uns erweckt? die deine Mild’ auf uns ergießt? Chor: Die Freuden! o wer spricht sie aus? Die Segen, o wer zählet sie? Hanne: Dir danken wir, was uns ergötzt. Lukas: Dir danken wir, was uns belebt. Simon: Dir danken wir, was uns erhält. Chor: Heil! o Sonne, Heil! Alle: Dir jauchzet die Natur. Chorus: It shines in wondrous glory, in flaming majesty! Hail to thee, O Sun! Thou fount of light and life, all hail! fairest likeness of the Deity! thy beauty awakes within us? thy goodness showers upon us? Chorus: The joy, oh, who could express it? The blessings, oh, who could count them? Jane: We thank thee, bringer of joy. Lucas: We thank thee, bringer of life. Simon: We thank thee, bringer of health. who endowed thee with such power. Chorus: Hail to thee, O Sun! all Nature shouts with joy. All: All Nature shouts with joy. A colourful throng spreads over the fields. The waves of ripen’d corn bow down before the sunburnt reapers. The sickles flash, the corn-stalks fall! But soon the crop is gather’d and tightly bound in sturdy sheaves. A torrent of fire on the meadows below. Appears a flood of dazzling brightness. Suną barwną gromadą przez pola. Łany dojrzałych zbóż składają pokłon ogorzałym żniwiarzom. Wkrótce żeńcy powiążą zboże w ciężkie snopy. Ognisty żar na rozpostarte w dole łąki. ein buntes Gewühl bedecket die Flur. in festen Garben wieder da. a colourful crowd bedecks the fields. ihr mächtiges Feu’r in Strömen hinab. in mighty waves of heat. Lucas: Exhausted Nature, fainting, sinks. And weary, languish man and beast, outstretch’d upon the ground. Łukasz: Wyczerpana Natura omdlewa i pada. Znużeni ludzie, półżywe bydlęta kładą się pokotem na ziemi. Part 2 Der Sommer No 06: Accompagnato: How welcome now, ye shady groves! Hannah: How welcome now, ye shady groves! And rustling leaves of slend’rest ash in whisp’ring murmurs sound. And merrily flits o’er blooming flow’rs, a host of enamell’d insects. And from a neighb’ring thicket tunes a youthful shepherd’s reed. Hanna: Jak żeście teraz upragnione, bezsłoneczne gaje! A szemrzące listowie smukłego jesionu brzmi jak szept do ucha. Pośród kwiatów krząta się chmara owadów lśniących jak klejnoty. A z pobliskich zarośli dobiega dźwięk piszczałki młodego pasterza. dance gaily in the air. Hanne: Welche Labung für die Sinne! Welch’ Erholung für das Herz! durch milden Drang die Brust. Jane: What refreshment for the senses! What a restorative for the heart! to new strength, new desires. Life through ev’ry vein is flowing, joy in ev’ry nerve awakes, enlivening the soul. An ardent, rousing zeal assails the cheerful breast. W żyłach kipi energia, ożywcza radość nerwy przenika. Żarliwy zapał pierś ochoczą rozpiera. And covers all the firmament with thickest darkness. Lucas: Hark, from the vale a muffl’d rumble foretells th’impending storm. And, threat’ning, hover o’er the plain. Hannah: In fear and anguish, all Nature holds its breath. No beast, no leaf is stirring; a deathly silence reigns. Łukasz: Posłuchajcie: stłumiony grzmot w dolinie zwiastuje nadchodzącą burzę. I unoszą się złowróżbnie nad równiną. Hanna: Znękana Natura wstrzymuje oddech ze strachu. Całe stworzenie zamarło; zapadła śmiertelna cisza. Part 2 Der Sommer No 08: Rezitativ: O seht! von Dampf und Dunst ein fahler Nebel auf. und drohend auf die Eb’ne sinkt! a livid cloud of mist and vapours. and, full of menace, sink towards the plain. Part 2 Der Sommer No 09 & 10: Chorus with solos: Ah! The storm approaches near! Chorus: Ah! The storm approaches near! Hark, how the thunder rolls! Hark, how the whirlwind roars! Away, away! Where shall we fly? And torrents drown us below. Dreadful blasts the storm, the arch of Heav’n is aflame. The thunder growls with frightful noise. The earth, convuls’d, is shaken, e’en to the oceans’ deep. And silenc’d is the tempest’s rage. Like brightest pearls, the meadows shine. Well sated and refresh’d, the cattle now return. Lucas: In hedges, quails sing to their mates. Hannah: In grasses, cheerful crickets chirp. Simon: In marshes, gruffly croak the frogs. Hannah, Lucas & Simon: The eve’tide curfew tolls. And calls us all to sweet repose. Chorus: Lads and lasses, children come! Our daily labours shall attest. We come, we follow thee! The eve’tide curfew slowly toll’d. Niechaj niebiosa mają nas w swej opiece! Słuchajcie, jak grzmot się przetacza! Trzeba uciekać! Dokąd tu się schronić? Burza okrutnie się sroży, Niebiosa pałają ogniem. Grzmot się toczy z przeraźliwym łoskotem. Ziemia wije się w konwulsjach aż po samo dno morza. Łukasz: W żywopłotach tokują bażanty. Hanna: Świerszcze wesoło cykają w trawie. Szymon: Na bagnach szorstko skrzekoczą żaby. Hanna, Łukasz i Szymon: Wieczorny dzwonek do snu wzywa. Że serca mamy niepokalane i zdrowy duch w ciele. Part 2 Der Sommer No 09: Chor: Ach! Das Ungewitter naht! Chor: Ach! Das Ungewitter naht! O wie der Donner rollt! O wie die Winde toben! bis in des Meeres Grund. Chorus: Ah! The tempest is upon us! Oh, how the thunder booms! Oh, how the winds do rage! and rain comes pouring down. Where can we seek safety? the whole sky is aflame. gestillet ist der Stürme Wut. mit Perlenschmuck geziert die Flur. Lukas: Dem Gatten ruft die Wachtel schon. Hanne: Im Grase zirpt die Grille froh. Simon: Und aus dem Sumpfe quakt der Frosch. the anger of the storm is stilled. Lucas: The quail is calling to her mate. Jane: In the grass the merry crickets chirp. Simon: And frogs croak from the marshes. Hanne, Lukas, Simon: Die Abendglocke tönt. und ladet uns zur sanften Ruh. Männer: Mädchen, Bursche, Weiber, kommt! Frauen: Wir geh’n, wir geh’n, wir folgen euch. Wir geh’n, wir folgen euch. Die Abendglocke hat getönt, usw. Jane, Lucas, Simon: The vesper-bell rings out. inviting us to sweet repose. Men: Lasses, lads, and women, come! and a day’s labour vouch for that. Lasses, lads, and women, come! Women: We’re coming, we’re coming, we’ll follow you. Lasses, lads and women, come! We’re coming, we’ll follow you. The vesper-bell has rung, etc. zeigt der Herbst in Fülle dem frohen Landmann jetzt. was ihm sein Feld hervorgebracht. und Freude strömt in seine Brust. autumn presents in abundance to the joyful farmer now. all that his fields have yielded. and happiness fills his heart. In Autumn gold is gather’d, to cheer the farmer’s breast. And scarcely can his barns enclose the crop his land has yielded. As pride and gladness warm his heart. Zostanie zebrane w porze złotej Jesieni, ku uciesze gospodarza. Z trudem domyka drzwi stodół, pełnych zbóż, które ziemia zrodziła. Duma i radość rozpierają mu serce. ihm wirket sie mit voller Kraft. Hanne, Lukas: Von dir, o Fleiß, kommt alles Heil. ist deine Gab’, ist dein Geschenk. von dir kommet alles Heil. und rohe Sitten milderst du. und reinigest der Menschen Herz. zum Guten und zu jeder Pflicht. Hanne, Lukas, Simon: O Fleiß, o edler Fleiß, usw. Chor: O Fleiß, o edler Fleiß, usw. Hanne, Lukas, Simon: Die Hütte, die uns schirmt, usw. Chor, dann Alle: O Fleiß, o edler Fleiß, von dir, usw. and guides it with all her might. Jane, Lucas: All benefits come from thee, O toil. all come from thee, they are thy gifts. all benefits come from thee. and makest rough-hewn manners gentle. and purify the heart of man. to strive for goodness and perform our duty. Jane, Lucas, Simon: Oh toil, oh noble toil, etc. Chorus: Oh toil, oh noble toil, etc. Jane, Lucas, Simon: The cottage that shelters us, etc. Chorus, then All: Oh toil, oh noble toil, etc. Part 3 Der Herbst No 02: Trio & Chorus with solos: Thus nature rewards our toil! Simon: Thus Nature rewards our toil! She smiles and cheers our work. And lends a willing hand. She governs us with strength and pow’r. Hannah & Lucas: From thee, O Toil, comes ev’ry good. Are all thy gifts, and thy reward. O Toil, O noble Toil, from thee comes ev’ry good. Chorus: O Toil, O noble Toil, from thee comes ev’ry good. Hannah: From thee comes worthiness, thou temp’rest slothfulness and vice. Lucas: By thee the heart of man is cleans’d and purify’d. That duty and honour fill our daily lives. Szymon: Tak oto Natura nasz znój wynagradza! Uśmiecha się i radośnie wychwala nasz trud. I wyciąga ku nam pomocną dłoń. Sprawuje nad nami mocne i pewne rządy. Hanna i Łukasz: O Znoju, tyś źródłem wszelkiego dobra. Wszystko to dar i nagroda od ciebie. O Znoju, szlachetny Znoju, tyś źródłem wszelkiego dobra. Chór: O Znoju, szlachetny Znoju, tyś źródłem wszelkiego dobra. Hanna: Tyś źródłem wszystkiego, co zacne, pogromcą lenistwa i występku. Łukasz: To ty oczyszczasz ludzkie serca. Sprawcą godności i powinności w naszym codziennym życiu. Hannah: See how a bunch of eager lads to the hazel trees now runs. And from the swaying boughs there falls a hailstorm of ripen’d fruit. Simon: The farmhand fetches a ladder and to the topmost branch he swiftly climbs aloft. Now, hidden by the leaves, he spies his sweetheart down below. As ruddy, fresh and wholesome as the fruits they gather! Z rozkołysanych gałęzi spada grad dojrzałych orzechów. Szymon: Parobek przystawia do drzewa drabinę i wspina się w mig na najwyższą gałąź. Ukryty w listowiu, śledzi z góry swoją wybrankę. I rzuca jej orzechy pod nogi. Świeże, zdrowe i czerstwe jak zbierane przez nie orzechy! gleich Hagelschau’r die lock’re Frucht. the ripe fruit rains like hail. as the ripe fruit they pick. Lucas: Fine ladies of the town, come here! Admire a charming and simple country lass! When love she swears to me. Hannah: Ye mincing dandies stay away! And foppish preenings are in vain! All this we simply cannot bear. An honest heart is all we ask. If faithful my Lucas remains. Winter days will pass, but ne’er my love for thee. Brighter shine the days, with love and constancy. Hannah & Lucas: O how pure, O how sweet is joyous passion! Only death this bond can break. ’Tis the crowning joy of life. Łukasz: Piękne panie z miasta, przybywajcie do nas! Podziwiajcie pełną wdzięku i prostoty wiejską dziewczynę! Spójrzcie, popatrzcie na moją Hannę! Jej słowa płyną prosto z serca. Hanna: Drobiący kroczkami strojnisie, trzymajcie się z dala! Na próżno, zniewieścialcy, stroszycie swe piórka! Niedobrze nam się robi od tego widoku. Jedyne, na czym nam zależy, to szczere serce. Żeby Łukasz pozostał mi wierny. Zimowe dni przeminą, a moja miłość do ciebie przetrwa. Jaśniejsze są dni, kiedy dostało się miłość i wierność. Hanna i Łukasz: Jakże czysta, jak słodka jest nasza radosna namiętność! Tylko śmierć je może rozdzielić. I największą radością w życiu. Lukas: Ihr Schönen aus der Stadt, kommt her! die weder Putz noch Schminke ziert. Da seht, mein Hannchen, seht! wenn sie mir Liebe schwört. Hanne: Ihr Herrchen, süß und fein, bleibt weg! man gibt euch kein Gehör. wenn treu mir Lucas ist. Hanne, Lukas: Welch’ ein Glück ist treue Liebe! trennen kann sie Tod allein. ist des Lebens Wonn’ und Glück! Hanne, Lukas: Lieben und geliebet werden, usw. Lucas: You town-bred beauties, come and look! unadorned by finery or paint. Just look at my Jane! when she swears she loves me. Jane: You mincing dandies, stay away! if Lucas is true to me. my love alone is changeless. when you speak of your love. Jane, Lucas: What happiness is true love! only death can divide us. the pride and joy of life! Jane, Lucas: To love and to be loved, etc. Who, seeking crops for nourishment, enjoy a daily feast. He can let them be. But soon he suffers grievous losses which he can ill afford. He joins the sport of horse and hound. Którzy co dzień urządzają sobie ucztę z naszych plonów. Wieśniak może przymknąć na nich oko. Wkrótce go jednak narażą na poważniejsze straty, których już sobie nie powetuje. Na konne polowanie z psami. und irrend jetzt sie weiter sucht. die seinen guten Herrn ergötzt. and still they forage for it. which pleases his good landlord. Part 3 Der Herbst No 06: Arie: Seht auf die breiten Wiesen hin! Simon: Seht auf die breiten Wiesen hin! Seht, wie der Hund im Grase streift! und geht ihr unablässig nach. er horcht auf Ruf und Stimme nicht mehr. und steht er unbewegt wie Stein. doch rettet ihn nicht schneller Flug. und wirft ihn tot aus der Luft herab. Simon: Look at yonder open field! See how the dog is prowling in the grass! he is deaf to all commands. and stands as motionless as stone. but swift flight cannot save him. and hurls him, dead, to the ground. Simon: See lo on yonder open field, there prowls a dog deep in the grass. He sniffs the scent upon the ground and follows it relentlessly. Now seiz’d by eagerness he runs; he hears his master’s voice no more. He races, pursuing his prey, then stops at once, and freezes, motionless as stone. But even flight affords no aid. It is struck by the shot, and plummets down, from the sky to earth. Łapie trop przy ziemi i sunie za nim niezmordowanie. Za chwilę, podniecony, rzuca się naprzód biegiem; nie słyszy już głosu swego pana. Pędzi w pogoni za zdobyczą, potem się nagle zatrzymuje i nieruchomieje jak kamień. Ale i tak nic mu to nie pomoże. Dosięgnięty kulą, spada z nieba na ziemię. Lucas: A tight’ning circle of hunters forces the hares to quit their formes. From ev’ry side they’re corner’d, with nowhere to escape. How soon they fall! And hung in rows, are proudly claim’d as hunter’s spoil. Łukasz: Zacieśniający się krąg myśliwych wypłasza zające z nor. Osaczone ze wszystkich stron, nie mają dokąd uciekać. Padają jak muchy! Rozwieszona rzędami zdobycz przynosi chlubę myśliwemu. die Hasen aus dem Lager auf. chases the hares from their formes. in rows and gleefully counted. Part 3 Der Herbst No 08: Chor: Hört! das dort im Walde klinget! ihm rennen die Doggen und Reiter nach. Alle: Er flieht, er flieht! o wie er sich streckt! O wie er springt! O wie er springt! O wie er sich streckt! und läuft über Feld in das Dickicht hinein. sie schwärmen hin und her. Die Jäger: Tajo, tajo, tajo! Die Jäger: Ho, ho ho! Tajo! Ho, ho! der Haufe vereint auf die Fährte los. erlieget nun das schnelle Tier. Die Jäger: Ha-la-li, ha-la-li, ha-la-li. that echoes through yonder woods! that echoes throughout the woods! the baying of eager hounds. followed by hounds and riders. All: He flees, he flees! Oh how he flies along! Hounds and riders follow him. Oh, how he leaps and bounds! Oh, how he runs for his life! and races across the fields and into the thicket. they scatter, run hither and thither. and are running hither and thither. Hunters: Ho, ho, ho! Tally-ho! Ho, ho! the reunited pack sets off again. the fleet-footed beast now sinks. Chorus: Hark, hear the sounds of the chase which in the forests resound. Hark, hear the sounds of the chase re-echo through the woods. The hounds with their barking and baying. Hounds and the huntsmen too! He flees; O see how he leaps, O see how he bounds! And darts o’er the fields to the thickets beyond. For he has outwitted the hounds, they stray and wander o’er the meads. The hounds have lost the scent, they ramble here and there. The blaring horn and hunters’ calls assemble the pack again. Ho ho ho! Tally-ho, tally-ho, tally-ho! With ardour redoubled, swiftly skims o’er the plains the united throng. Surrounded by his enemies, his spirit and his vigour fail. Exhausted, drops the noble stag. Chór: Baczcie, słuchajcie rozbrzmiewających w lesie odgłosów polowania. Szczekania i powarkiwania psów gończych. Gończe i myśliwi rzucają się za nim w pościg! Jeleń umyka; patrzcie, jak skacze, jakie sadzi susy! I mknie przez pola w pobliskie zarośla. Przechytrzył gończe, które błąkają się teraz i kluczą po łące. Psy straciły trop, biegają bez ładu i składu. Głośne trąbienie rogu i okrzyki myśliwych zbierają sforę z powrotem. Ho, ho, ho! Wyczha, wyczha, wyczha! Przywołana do porządku sfora rzuca się ze zdwojonym impetem przez równinę. I wyczerpany pada na ziemię. Hannah: On vines, the grapes are glistening in purple bunches, sweet and juicy. The sight reminds the vintner that it will soon be time to harvest. And from their huts stream many happy workers to the pleasant task ahead. Hannah: See how the slopes up yonder with swarms of folk are teeming! Hear how their merry voices from ev’ry side resound! And then the foaming wine, newly press’d, turns mirth to wild abandon. Przypominając winiarzowi, że wkrótce nadejdzie czas zbiorów. Pogodni robotnicy wychodzą z chat i ciągną tłumnie do miłej pracy. Hanna: Spójrzcie, na zboczach aż się roi od ludzi! Słuchajcie: ich wesołe głosy rozbrzmiewają ze wszystkich stron! A świeżo wyciśnięty, musujący moszcz przemienia ich radość w dzikie zapamiętanie. daß er zu lesen sie nicht weile. to pick them without delay. are all alive with people! merriment to cries of joy. Part 3 Der Herbst No 10: Chorus: Drink up, drink up, the wine is here! Chorus: Drink up, drink up, the wine is here! Our hearts with joy are fill’d. So drink up, drink up, drink! Let us drink now! Raise your glasses! Let us celebrate! Let us sing now! Raise your voices! Let us celebrate! Drink up, drink up, drink! All hail to the wine! Hey ho hey! All hail to the wine! Come, good fellows, fill the tankards. Drain the glasses, let us celebrate! Hey ho, hey ho! All hail to the wine! And the groaning musettes are a-whining. The bagpipes are droning and droning and droning! In a fine country reel. Dance and trip it, hop and skip it! Dance and trip it, Hey there, ho there! Hop and skip it, Hey there, ho there! In praise of cheering, noble wine. All hail to our wine, our noble wine, which frightens all cares away! Hey there, ho there! Let us celebrate! Let cheerful songs resound! Hey! Ho! Chór: Pijmy, pijmy, jest już wino! Pijmy więc! Wznieśmy kielichy! Świętujmy! Śpiewajmy! Wznieśmy naszą pieśń! Świętujmy! Pijmy więc, pijmy, pijmy! Niech żyje wino! Hej, ho! Niech żyje wino! Przybywajcie, drodzy kompani, napełniajcie kielichy. A dudy brzęczą, i brzęczą, i brzęczą! W pięknym, ognistym wiejskim tańcu. Tańczcie i pląsajcie, skaczcie i hasajcie! Przybywajcie, kompani, chodźcie do nas! Tańczcie i pląsajcie, hejże, hola! Skaczcie i hasajcie, hejże, hola! Śpiewajcie w głos i radujcie się! Śmiejcie się i śpiewajcie wesoło! Na cześć szlachetnego, niosącego radość wina. Niech żyje wino, nasze szlachetne wino, które oddala wszelkie troski! Cieszmy się dziesięć razy po tysiąckroć! Niech rozbrzmiewają wesołe pieśni! Hej, ho! Part 3 Der Herbst No 10a: Chor: Juh-he, Juh-he! nun laßt uns fröhlich sein, und juchhe, juchhe, juch! Männer: Laßt uns trinken! trinket Brüder, laßt uns fröhlich sein! Frauen: Laßt uns singen! singet alle, laßt uns fröhlich sein! Chor: Juchhe, juchhe, juch! es lebe der Wein! Es lebe das Land, wo uns reift! Juchhe, juch! es lebe der Wein! Es lebe das Faß, das ihn verwahrt! Es lebe der Krug, woraus er fließt! Juchhe, juch! es lebe der Wein! usw. leert die Becher, laßt uns fröhlich sein! und juchhe, juchhe, juch! aus vollem Halse schrei’n! Juchhe, juchhe! es lebe der Wein! Men: Let us drink! Brothers, drink up, let us all be merry! Women: Let us sing! Everyone sing, and be merry! Chorus: Hurrah, hurrah, hurrah for wine! Hurrah for the land that produces it! Hurrah, hurrah, hurrah for wine! Hurrah for the barrel that holds it! Hurrah for the jug from which it flows! Hurrah, hurrah, hurrah for wine! etc. empty your beakers, let’s be merry! and sing hurrah, hurrah with might and main! Frauen: Nun tönen die Pfeifen und wirbelt die Trommel. Chor: Hei-sa! hop-sa! laßt uns hüpfen! Hei-sa! hop-sa! laßt uns springen! Die Kannen füllt, die Kannen füllt! Hei-sa! hop-sa! laßt uns tanzen! Die Becher leert, die Becher leert! Hei-da! hei-da! laßt uns fröhlich sein! Hei-da! und juchhe, juchhe, juch! aus vollem Halse schrei’n! Jauchzet, lärmet! Juchhe, juchhe, juch! Hei-sa, hop-sa! lachet, singet, jauchzet, singet! Nun fassen wir den letzten Krug, hei-sa, hop-sa, hei-sa! der Grillen und Harm verscheucht! aus vollem Halse schrei’n! Juch, juch! Chorus: One-two, one-two! Everyone hop! Fill your jugs, fill your jugs! Drain your beakers, drain your beakers! Heigh-ho, heigh-ho! Let’s be merry! Shout heigh-ho and shout hurrah, shout with might and main! Hurrah, hurrah! Leap and dance! One-two, one-two! Laugh, sing, cheer and sing! Should heigh-ho and should hurrah! Now let’s claim our final jug, hip-hip-hip-hurray! of the grape that makes us merry! in which we drown our sorrows! with might and main! Hurrah! And hov’ring over barren plains. For e’en the midday sun is now eclips’d by dusky gloom. All Nature, stupefy’d, is still’d. I snują się nad opustoszałymi równinami. Bo nawet w południe słońce jest zasnute ponurą mgłą. 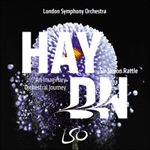 Haydn’s second German oratorio, The Seasons, first performed in Vienna in 1801, depicts the turning year in the countryside. Its final section has an orchestral introduction—performed here in Haydn’s substantially longer original version—in which sombre, groping harmonies depict ‘the thick fogs at the beginning of winter’. Le deuxième oratorio allemand de Haydn, Les Saisons, créé à Vienne en 1801, dépeint le cycle de l’année à la campagne. La dernière section est précédée d’une introduction orchestrale—jouée ici dans la version originale de Haydn, sensiblement plus longue—dans laquelle des harmonies sombres et tâtonnantes représentent «les épais brouillards au début de l’hiver». Haydns zweites Oratorium in deutscher Sprache, Die Jahreszeiten, erstmals 1801 in Wien aufgeführt, versinnbildlicht den Jahresablauf auf dem Land. Im abschließenden Teil erklingt eine Orchestereinleitung—hier in der ursprünglichen, wesentlich längeren Version gespielt—, in der düstere, tastende Harmonien den dichten Nebel zu Beginn des Winters darstellen. Simon: Nun senket sich das blasse Jahr, und fallen Dünste kalt herab. und am Mittage selbst der Sonne matten Strahl verschlingt. der stürmisch düst’re Winter jetzt. Vor seinem Tritt erstarrt in banger Stille die Natur. Simon: Now the outworn year is dying and chilly fogs descend. and even at midday hides the sun’s pale beams. the sombre, stormy winter stalks. Before his tread all Nature stands in frozen, frightened silence. Warmth and joy have sadly vanish’d. Wärm’ und Freude sind verschwunden. Unmutsvollen Tagen folget schwarzer Nächte lange Dauer. warmth and joy have disappeared. Ill-humoured days are followed by long dark nights. The babbling brook is silenc’d by ice. In deathly stillness roars no more. In brittle woodlands naught is heard. With monstrous banks of feath’ry snow. Where Nature’s splendours sleep entomb’d. A ghostly pallor covers all. Sam teraz zamilkł jak głaz. Z ogołoconych lasów nie dobiegają żadne odgłosy. Puszysty śnieg piętrzy się w ogromne zaspy. W którym legły wspaniałości Natury. gehemmt in seinem Laufe der Strom. gestockt und stumm der Wasserfall. Im dürren Haine tönt kein Laut. nur öde Wüstenei sich zeigt. the current of the stream is stemmed. the waterfall hangs motionless and silent. In the leafless woods no sound is heard. blankets the fields and fills the vales. falls only on barren wasteland. wohin den Schritt er lenken soll. ihn leitet weder Pfad noch Spur. er find’t sich immer mehr verirrt. der Schimmer eines nahen Lichts. vor Freuden pocht sein Herz. wo starr und matt er Labung hofft. but finds neither path nor track. only to find himself more lost than ever. by the glimmer of a light nearby. his heart throbs with joy. cold and tired, he hopes to find refreshment. He knows not where his falt’ring steps to turn. He finds himself still more astray. His heart is seiz’d by fear. And weariness and cold turn all his limbs to lead. Then suddenly ahead of him he sees a bright and flick’ring light. From ice and snow he hopes to find relief. Nie wie, w którą stronę zwrócić chwiejne kroki. A zmarznięte i zmęczone ciało przemieni się w ołów. Nagle dostrzega przed sobą jasno błyszczące światełko. Ma nadzieję, że znalazł schronienie przed śniegiem i mrozem. Hear the sound of cheerful voices. To while away the evening hours. As baskets, nets and fish-traps all need twining. And all the work is cheer’d with simple song and melody. Przy których spędzają długie zimowe wieczory. Z których będą wyplatać kosze, żaki i więcierze. Proste piosenki umilają im pracę. mit leichter Arbeit und Gespräch. und Netze strickt der Söhne munt’rer Haufe dort. the sound of voices bright and clear. with light tasks and chatter. and in a jolly group their sons are making nets. by an artless, happy song. Frauen und Mädchen: Knurre, schnurre, Rädchen, schnurre! drille fein ein Fädelein, mir zum Busenschleier. webe fein das Schleierlein mir zur Kirmesfeier. muß des Mädchens Busen sein, wohl deckt ihn der Schleier. fleißig, fromm und sittsam sein, locket wack’re Freier. Chor (Alle): Außen blank und innen rein, usw. Women and Girls: Purr and whirr, my little wheel, whirr on! twist a fine, neat thread to make a kerchief for my breast. finely weave the kerchief I shall wear at Easter. will a maiden’s bosom be when her kerchief is becoming. Women and Girls: Purr and whirr, my little wheel, whirr! industrious, pious and modest be, to attract a worthy suitor. Chorus (All): Fair without and pure within, etc. Part 4 Der Winter No 06: Song with Chorus: Whirring, whirring, whirring! Chór: Kręć się, kręć, wrzeciono! Który jest wolny jak ptak, ale nigdy nie grzeszy! Żaden chłopak mu nie dorówna! Lucas: Now the flax has all been spun, the wheels no longer turn. The folk draw round with lads and lasses all together. They long to hear a little tale which Hannah oft recounts. Wieśniacy zbierają się wokół, wszyscy razem, chłopcy i dziewczęta. Chcą posłuchać historyjki, którą Hanna często im opowiada. nun steh’n die Räder still. die Hanne jetzt erzählen wird. and now the wheel stands silent. traf er allein sie an. Sie rief vor Angst und Schrecken: Ach! Ach ja, von Herzen gern. Chor: Ei, ei, warum nicht nein? und schenke mir dein Herz! o sag’s und ford’re nur. Chor: Ei, ei, das klingt recht fein! wie wird mir’s dann ergehn! sonst könnt’ es wohl geschehn. könnt’ ihr ihn ackern sehn. Chor: Ho, ho, was soll das sein? Lebt wohl! rief sie, mein gnäd’ger Herr! So räch’ ich meine Schmach! und gafft ihr staunend nach. Chor: Ha, ha, ha, ha, das war recht fein. Come, kiss your lord, my dear! Alarmed and frightened, she cried out: Yes! Oh yes, with all my heart! Chorus: Oh, why did she not say no? I do not trifle or jest. you only have to tell me. Chorus: Aha, that sounds too smooth! I don’t know what would happen! he could be watching us. you might see him ploughing. Chorus: Oh no, now what will happen? as swiftly as the wind. Farewell! she cried, my gracious lord! So I avenge my shame! Chorus: Ha, ha, ha, ha, she did do well. Chorus: Ha ha ha ha! But why, why not say “no”? “And doubt not that I’ll always prove a truelove unto thee. Please! Be my lady! Here! My ring, my purse, and watch so fine. Chorus: Ha ha ha ha! Why not, if you so please? For should they spread the tale about, what would become of me? Chorus: Ha ha ha ha! And so what next I pray? Meanwhile the maid sprang on his steed and vanish’d in a trice! Chorus: Ha ha ha ha! Well play’d, well play’d young lass! „Ślicznotko, podbiłaś me serce! Chodź, chcę cię tylko pocałować…”. Dziewczyna krzyknęła ze strachu: „Ach, panie, tak się nie godzi!”. Chór: Ha, ha, ha, ha, no właśnie, czemu miałaby się godzić? „Przysięgam, że zostanę ci wierny na zawsze. Proszę! Bądź moją panią! Masz! Oto pierścień, sakiewka i cenny zegarek. Jeśli czegoś jeszcze ode mnie chcesz, wystarczy słówko, a będzie twoje!”. Chór: Ha, ha, ha, ha, czemu nie, skoro pan nalega? Bo jak o nas rozgadają, to co potem ze mną będzie? Przeciśnij się przez ten żywopłot i daj mi znać, czy nie ma ich po drugiej stronie”. Chór: Ha, ha, ha, ha, i co, i co było dalej? Tymczasem dziewczyna wskoczyła na pańskiego wierzchowca i znikła w mig! „Następnym razem nie zapomnij o cierniach, jak będziesz chciał zerwać różę!”. Chór: Ha, ha, ha, ha, sprytnie to rozegrałaś, sprytnie to rozegrałaś, dziewuszko! Harsh and cutting to the bone. It gathers up the mists and steals the breath from man and beast. With this ferocious tyrant Winter’s battle has been won. Now speechless and in fear, the whole of Nature lies aghast. Gwałtowny i przeszywający do szpiku kości. Rozpętała się zamieć, zatykając dech w piersiach ludziom i zwierzętom. Zima wygrała bitwę przy wsparciu srogiego tyrana. Natura legła pokotem, oniemiała ze strachu. Simon: Vom dürrem Oste dringt ein scharfer Eishauch jetzt hervor. und hascht des Tieres Odem selbst. und stummer Schrecken drückt den ganzen Umfang der Natur. Simon: Now from the arid east blows a biting, icy breath. and even catching at the cattle’s breath. and all the natural world is mute with terror. und zeiget dir das off’ne Grab. wo sind sie nun? wo? Verschwunden sind sie wie ein Traum. bis zu dem höchsten Ziele hin. see here an image of your life! and points to an open grave. the cares that burdened you? Where are they now? Where? All have vanished like a dream. Simon: Consider then, misguided man, a picture of thy life unfolds. The Summer spirit long pass’d by. And points to thee an open grave. Where now, those schemes of high endeavour? Those lofty hopes and plans? The search for earthly glory and vain desire of fame? Where are they now, those days of plenty, and wanton luxury? And where, those happy evenings of endless revelry? They all are vanish’d, as a dream. Only Virtue lasts! In sorrow and in gladness to reach life’s highest destiny. Szymon: Dałeś się nabrać, człowieku: to obraz twojego żywota. I wskazuje palcem twój otwarty grób. Gdzie się podziały twoje śmiałe plany? Twoje wzniosłe marzenia i zamiary? Pogoń za ziemską chwałą i niespełnione pragnienie sławy? Gdzie są niegdysiejsze dni obfitości i swawolnych zbytków? Gdzież są wieczory spędzane na wesołych, hałaśliwych ucztach? Gdzież one się wszystkie podziały? Gdzie? Znikły jak sen. Tylko Cnota przetrwała! W smutku i radości, aż po najwyższe przeznaczenie życia. From pain and death forever free! Lucas & Simon: The gates of Heav’n fling open wide, the Holy Mount appears. There stands the House of God, where peace and freedom dwell. Choir 1: But who may pass between these gates? Hannah, Lucas & Simon: The man whose life was incorrupt. Choir 2: And who may climb the Holy Mount? Hannah, Lucas & Simon: The man whose lips spoke only truth. Choir 1: And who may make that house his dwelling? Hannah, Lucas & Simon: The man who help’d the poor and weak. Choir 2: And who in peace and joy may prosper? Hannah, Lucas & Simon: The man who sav’d the pure and meek. Choir 2: Behold, the morning light! The gates of Heav’n fling open wide, the Holy Mount appears. And wint’ry storms of life. May we enjoy that true reward. Let us labour, let us battle. Let us labour, let us battle, to secure that worthy prize. Direct us in Thy ways, O God, and make us strong and brave. Then shall we sing, and shall ascend into the glorious heav’nly realm. Na zawsze wolnych od bólu i śmierci! Łukasz i Szymon: Wrota Niebios otwierają się na oścież, odsłania się Święta Góra. Tam stoi Dom Boży, w którym mieszka pokój i wolność. Chór 1: Ale kto przestąpi te wrota? Hanna, Łukasz i Szymon: Człowiek, który wiódł życie bez skazy. Chór 2: A kto się wespnie na Świętą Górę? Hanna, Łukasz i Szymon: Człowiek, z którego ust płynęła wyłącznie prawda. Chór 1: A kto zamieszka w tym domu? Hanna, Łukasz i Szymon: Człowiek, który pomagał ubogim i słabym. Chór 2: A kto będzie zażywał pokoju i wesela? Hanna, Łukasz i Szymon: Człowiek, który otoczył opieką czystych i pokornych. Chór 2: Patrzcie, jaśnieje poranek! Wrota Niebios otwierają się na oścież, odsłania się Święta Góra. Obyśmy mogli skorzystać z tej nagrody. Walczmy, pracujmy w pocie czoła. Walczmy, pracujmy w pocie czoła, żeby doczekać tej zapłaty. Prowadź nas swoją ścieżką, Boże, daj nam moc i odwagę. A wtedy wzniesiemy pieśń i wstąpimy do pełnego chwały królestwa niebieskiego. zum neuen Dasein uns, von Pein und Tod auf immer frei. Lukas, Simon: Die Himmelspforten öffnen sich, der heil’ge Berg erscheint. wo Ruh’ und Friede thront. Erster Chor: Wer darf durch diese Pforten geh’n? Hanne, Lukas, Simon: Der Arges mied und Gutes tat. Zweiter Chor: Wer darf besteigen diesen Berg? Hanne, Lukas, Simon: Von dessen Lippen Wahrheit floß. Erster Chor: Wer darf in diesem Zelte wohnen? Hanne, Lukas, Simon: Der Armen und Bedrängten half. Zweiter Chor: Wer wird den Frieden dort genießen? Hanne, Lukas, Simon: Der Schutz und Recht der Unschuld gab. Erster Chor: O seht! der große Morgen naht! Zweiter Chor: O seht! er leuchtet schon! Beide Chöre: Die Himmelspforten öffnen sich, der heil’ge Berg erscheint. Zweiter Chor: des Lebens Winterstürme. und grenzenlose Seligkeit wird der Gerechten Lohn. Hanne, Lukas, Simon: Auch uns werd’ einst ein solcher Lohn! Laßt uns wirken, laßt uns streben! Erster Chor: Laßt uns kämpfen! Beide Chöre: zu erringen diesen Preis! Uns leite deine Hand, o Gott! in deines Reiches Herrlichkeit. Amen. awaken us to new life, from pain and death forever freed. Lucas, Simon: The gates of heaven open wide, the holy Mount appears. where peace and joy reign supreme. First Chorus: Who may enter these portals? Jane, Lucas, Simon: He who shunned evil and did good. Second Chorus: Who may ascend this Mount? Jane, Lucas, Simon: He who has spoken the truth. First Chorus: Who may dwell in this tabernacle? Jane, Lucas, Simon: He who helped the poor and needy. Second Chorus: Who shall taste of these joys? Jane, Lucas, Simon: He who protected the innocent. First Chorus: Oh see, the great dawn approaches! Second Chorus: Oh see, it gleams already! First and Second Chorus: Heaven’s portals open, the holy Mount appears. Second Chorus: the winter-storms of life. and infinite blessedness rewards the righteous. Jane, Lucas, Simon: May such a reward one day be ours! Let us work and strive! First and Second Chorus: that this prize will be ours! Guide us with Thy hand, O God! the kingdom of thy glory. Amen.